The D12 DLC was hosted by the ISA Italy Section. D12 members of no less than 10 countries were participating, totaling 25 Section Delegates. Sections from Italy, Ireland, England, Spain, Saudi Arabia, St. Petersburg, Israel, Belgium, Oman and The Netherlands were represented by their leadership. 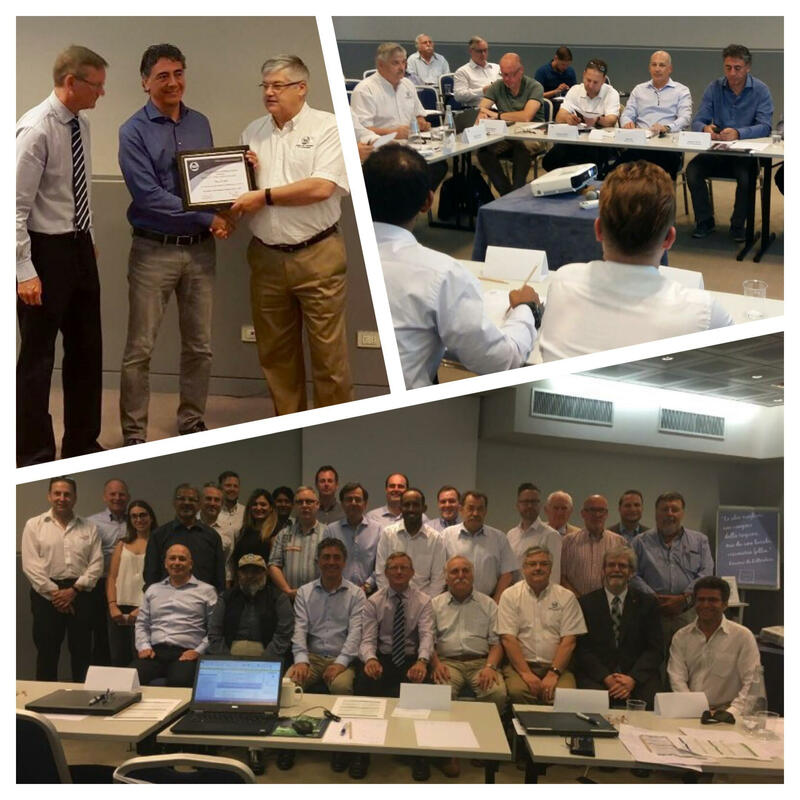 The ISA Netherlands Section recently expanded the Board and was present at the DLC with a large delegation. The delegates from ISA Netherlands Section were: Marcel Jutte, President; Ronald Kouwenhoven, Secretary; Leo Asselman, Sponsor Chair; Sjaak van Peski, Education Chair. During the event, Marcel Jutte was presented Certificate of Appreciation, in recognition and appreciation for his dedicated service to ISA, as President Netherlands Section 2016/2017. The participants look back at a very fruitful and constructive DLC. The ISA Netherlands Section would like to thank ISA Italy Section for their hospitality and excellent organization of the event.